The automaker has named Jim Farley as President, New Businesses, Technology & Strategy and Joe Hinrichs as President of Automotive with effect from May. US automaker Ford Motor Co has rejigged its top management as it focuses on accelerating progress in its global business. The automaker has named Jim Farley as President, New Businesses, Technology & Strategy with effect from May 1. The company has also moved Joe Hinrichs from Executive Vice President of Global Operations to President of Automotive. Hinrichs will spearhead Ford’s global business units – North America, South America, Europe, China, and the International Markets Group. He will also oversee both the Ford and Lincoln brands. In addition, Hinrichs will lead all of Ford’s automotive skill teams including Product Development, Purchasing, Enterprise Product Line Management, Manufacturing & Labor Affairs, Marketing, Sales & Service, Quality & New Model Launch, Sustainability, Environmental & Safety Engineering, Information Technology, Customer Experience, and Government Affairs. His appointment is effective from May 1. 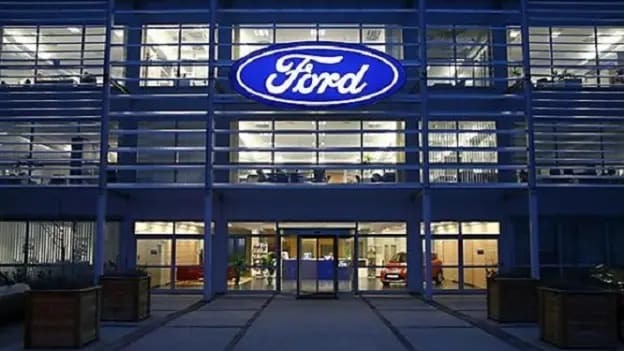 Meanwhile, Farley will lead Ford’s strategic transformation into a higher growth, higher margin business by leveraging smart, connected vehicles and breakthrough customer experiences. In this role, Farley will oversee Corporate Strategy, Global Data Insights & Analytics, Global Partnerships, Research & Advanced Engineering as well as Ford Smart Mobility and Ford Autonomous Vehicles. The rejig comes as the second-largest US automaker has been involved in a massive restructuring of its businesses that top executives previously said will cost at least $11 Bn and take several years. Ever since Jim Hackett took over the mantle in May 2017, the automaker has said it will phase out the production of almost all of its traditional passenger cars, invest in new businesses and cut jobs around the world. Last month, the automaker also appointed Amazon.com Inc veteran Tim Stone as its new chief financial officer as it follows other automakers who are similarly bringing in people from social media, online retail, and other software-dominant industries in to their management and engineering ranks as they prepare to transform themselves for the era of self-driving and shared mobility.